A sit-in by patrons at a public library escalates into a police standoff and a media sideshow. An unusually bitter Arctic blast has made its way to downtown Cincinnati. At odds with library officials over how to handle the extreme weather event, the patrons turn the building into a homeless shelter for the night by staging an "Occupy" sit in. What begins as an act of civil disobedience becomes a stand off with police and a rush-to-judgment media constantly speculating about what's really happening. 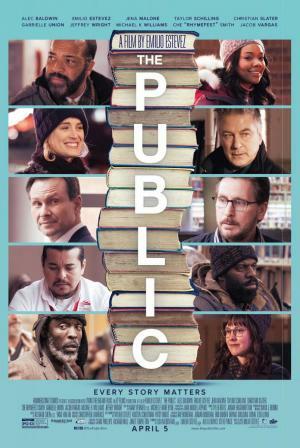 This David versus Goliath story tackles some of our nation's most challenging issues, homelessness and mental illness and sets the drama inside one of the last bastions of democracy-in-action: your public library. "At worst, you can dismiss [Estévez] as a naïve do-gooder. At best, you can commend him for actually believing a movie might raise public consciousness and maybe even change things. Your call (…) Rating: ★★★ (out of 5)"
"Estevez does an elegant job with this setup (...) The movie’s literary virtues, in other words, are up for debate. Its sincerity, though, is not." "[It] proves an often implausible, stacked deck of social issues, contrived conflicts and feel-good activism." "At times seems too cute and simplistic for the harsh realities it touches on (...) Nonetheless, it largely works." "[Estevez] has stuffed 'The Public' with too many issues for a single movie (...) Intellectual arrogance is not the problem with the film. Rather, it’s the tone of moral superiority (…) Rating: ★½ (out of 4)"
"There is little nuance here in the storytelling or acting. The dialogue often has a stilted, unnatural ring to it (...) But the editing keeps things moving swiftly and seamlessly"
"The film is a clunky and at times ridiculous affair, taking a situation that might reasonably happen and turning it into something melodramatic and ultimately unbelievable." 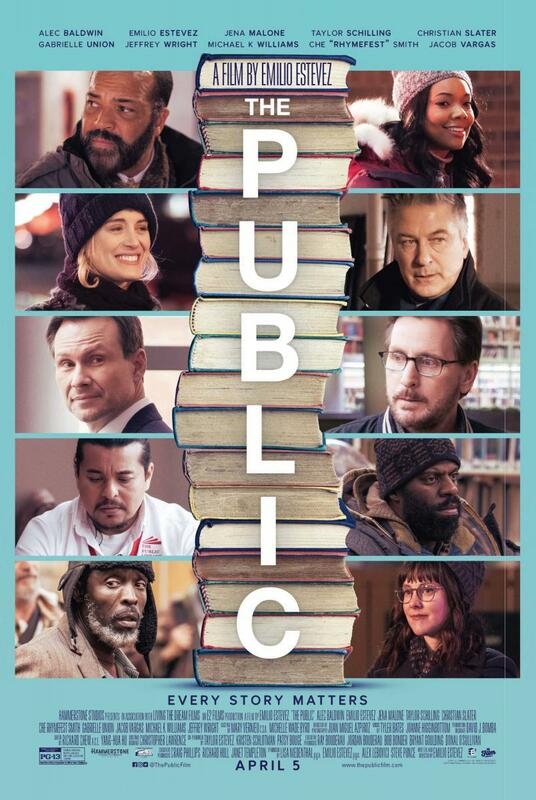 "Estevez assembles a great cast for a clumsy, but gutsy, film (...) Even though 'The Public' ultimately doesn’t come together as a dramatic piece (...) it does take some impressive chances"